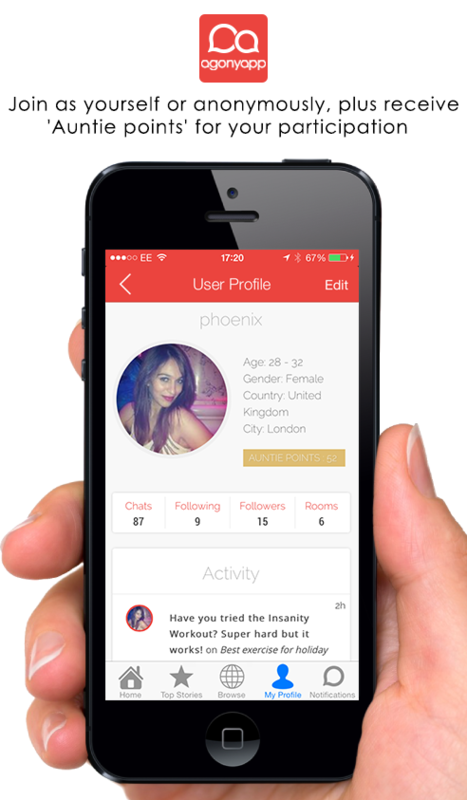 Press | Agonyapp – Anonymous Relationship Advice App! 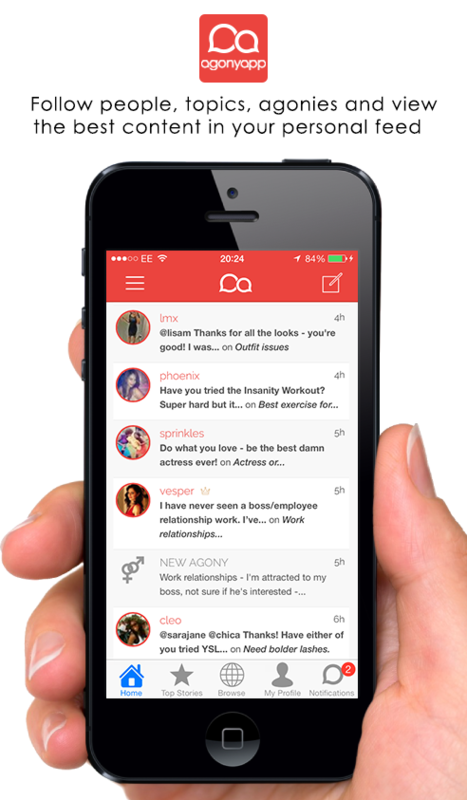 Agonyapp is your modern-day, personal, lifestyle companion. A social yet discrete way for you to ask relationship questions, offer advice and get real answers from real people on everything that matters to you. 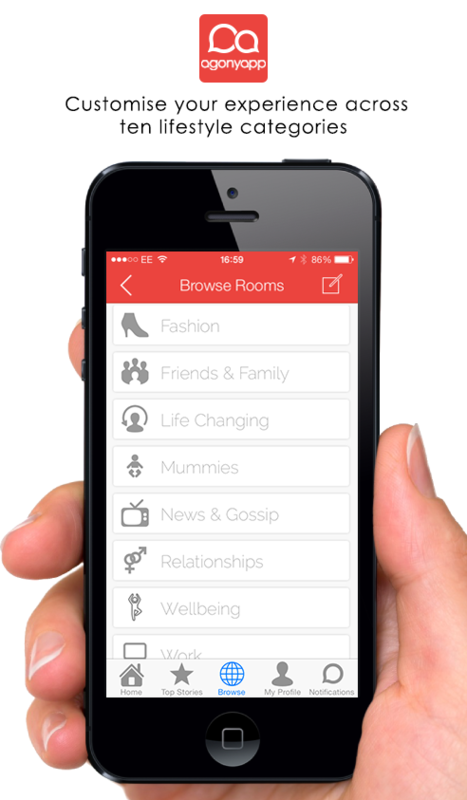 Whether you need relationship advice, health and beauty tips, support through a tough time or just a therapeutic rant Agonyapp is just a few taps away. For press enquires, please email us – we’d love to hear from you!